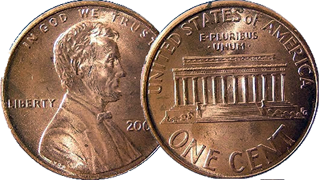 The Lincoln Cent coin has been struck by the United States Mint since 1909. 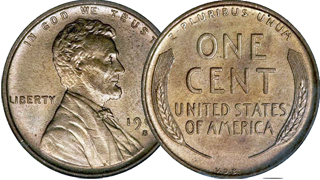 The obverse or heads side was designed by Victor David Brenner, as was the original reverse. 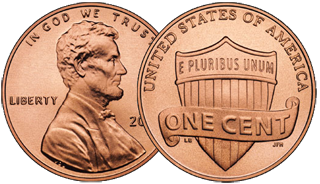 The Lincoln cent coin has seen several reverse, or tails, designs and now bears one by Lyndall Bass depicting a Union shield.